Massey Ferguson 135 Tractor Price,Models, specs & Review?2018? 🙂 Hello Guys, Hope All farmers would like this post about Massey Ferguson Tractors Price List and Is Specifications. 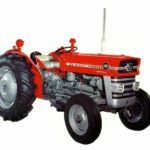 Specially I am talking about Massey Ferguson 135 Tractors which was the good model produced by the Massey. It was very successful model with law maintenance. 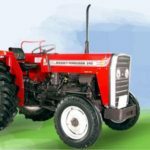 This post provides the Genuine and liable information about it.You will get Massey Ferguson 135 Tractors Parts Details. How its transmission system works? How much powerful hydraulic does it has?Especially, How much powerful engine does Massey Ferguson 135 Has? You can also see MF 135 Tractor’s Brakes,Wheels & Tires and Dimension.How much capacity of MF 135 Fuel Tank? You should also get the PTO(Power Take Off), It’s top speed,electrical system,Implement and moreover. If you want to buy this model. 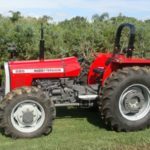 You must need to find out the Massey Ferguson 135 For sale.You need to just go at Massey Ferguson 135 Tractors For Sale. You will find out best one of them. 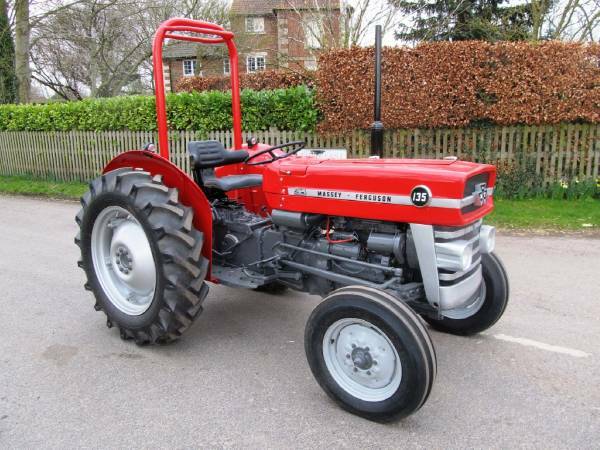 The Massey Ferguson 135 is one of the most popular tractor and it is well known for vintage and classic enthusiasts. It is an industrial tractor that is fitted with the Perkins 2.5 liter three-cylinder diesel engine. 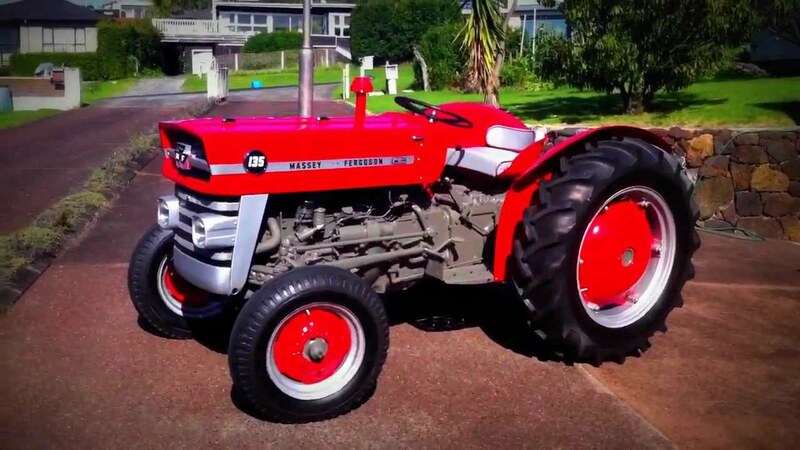 The Massey Ferguson 135 was manufactured by Massey Ferguson Company and remained in production as part of the company’s 100 series between 1964 to 1975. It gross power is 45.5 horsepower (33.9 kW) and weight of this tractor is 3,565–3,810 pounds (1,617–1,728 kg). Its More information you can check below. 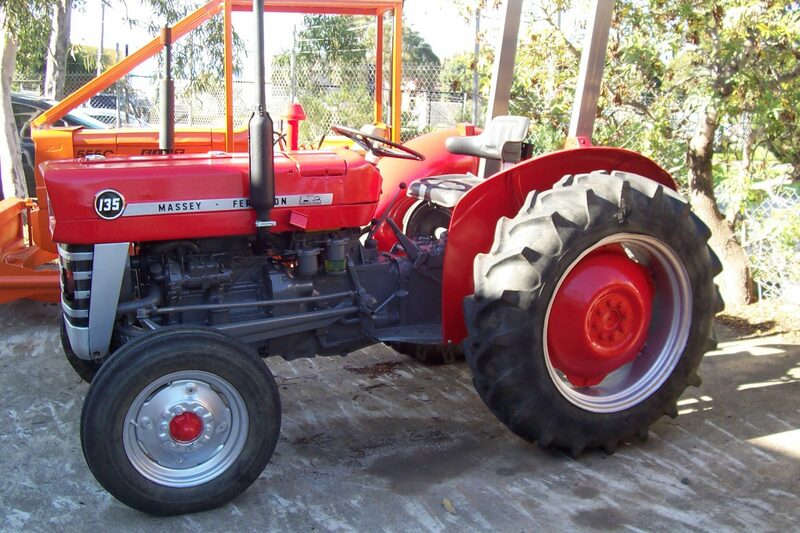 The Massey Ferguson 135 Tractor Original Price is $4385 USD . You need to show the MF 135 Specifications carefully, It will help whenever you wanna buy it. Total Displacement 152. 7 cu. ins. Injection Timing 240 B. T. D. C.
Tractors with ”Independent” PTO or Transmission PTO Type Single dry-disc – 11″ DIA. Primary Clutch Coil spring-loaded, 11″ DIA. Secondary Clutch Belleville spring-loaded, 9″ DIA. Shaft Spline, 1-3/8” DIA. ASAE STD. 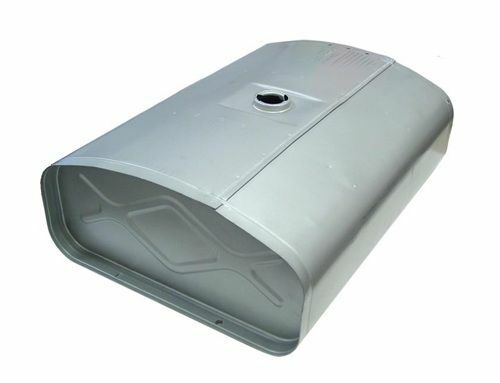 Fuel Tank 10.2 U.S. – 8.3 Imp. Gals. Cooling System 10. 5 U.S. – 8. 7 Imp qts. Crankcase – w /o Filter Change 6 U.S. – 5 Imp qts. Crankcase – w/Filter Change 6.5 U.S. – 5.4 Imp. qts. Transmission, Differential, and Hydraulic System 8 U.S. – 6. 7 Imp. gals. Power Steering Reservoir l U.S. – . 8 Imp. qts. You can see in this above video about the Massey Ferguson 135 Engine start-up and That more information you can see above in the Specification table. There is no mistaking the noise of the 45.5hp engine as it is working around the farmyard. These are the starting serial numbers for the Massey Ferguson 135 for each year of building. The production ran for 11 years between 1964 and 1975, with many of the tractors still in use on the farm today. 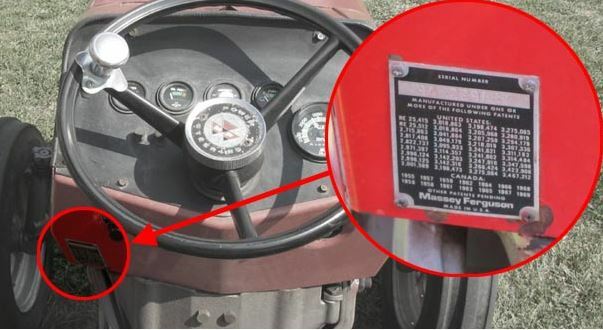 The tractor identification plate that has the serial number stamped on is located on the instrument panel, just below the steering wheel. 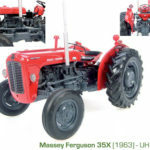 The Massey Ferguson 135 Tractors are equipped with the world famous Advanced Ferguson Hydraulic System and 3-Point Hitch, which is, in brief, a combination of mechanical linkage and hydraulic mechanisms for controlling the operation of implementing. The Advanced Ferguson Hydraulic System and 3-Point Hitch, with Draft Control, Position Control, Pressure Control (optional) and Response Control, is an easy implement attachment system, capable of handling Category I, 3-point hitch implements. This system is also equipped with a constant pumping position, allowing the operation of remote hydraulic cylinders and Auxiliary Hydraulic Control Valves. 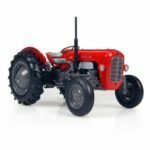 The Massey Ferguson 135 Tractor has a Multi-Power Transmission, that is providing twelve forward and four reverse speeds. This wide range of speeds provides greater efficiency in all operations. Multi-Power provides a “shift-on-the-go” feature. Move the Multi-Power Lever to Low for greater pulling power to pull through tough spots and heavy crops. This wide range of speeds provides greater efficiency in all operations. Multi-Power provides a “shift-on-the-go” feature. Move the Multi-Power Lever to Low for greater pulling power to pull through tough spots and heavy crops. Move the Multi-Power Lever to High to increase ground speed. No need to disengage the clutch when shifting Multi-Power rangers. Multi-Power Transmission does not permit engine compression to be used for braking Tractor parked in gear. 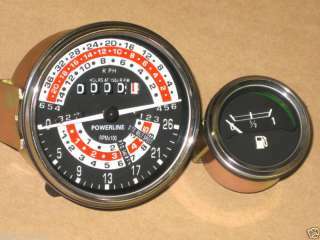 The Massey Ferguson Tractor tachometer indicates engine RPM, standard PTO and belt pulley speeds. The window shows accumulated engine hours at an average of 1875 engine RPM. You can see the fuel limit using fuel meter. 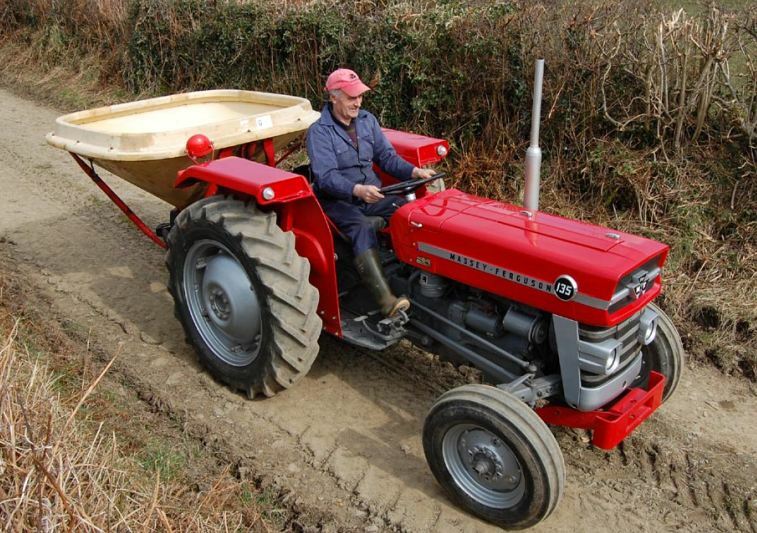 The fuel tank capacity for the Massey Ferguson 135 Tractor is 10. 2 U.S. – 8. 3 Imp. gals. That is long enough for long farming work no need to frequently refuel but Check the fuel level and fill if necessary. 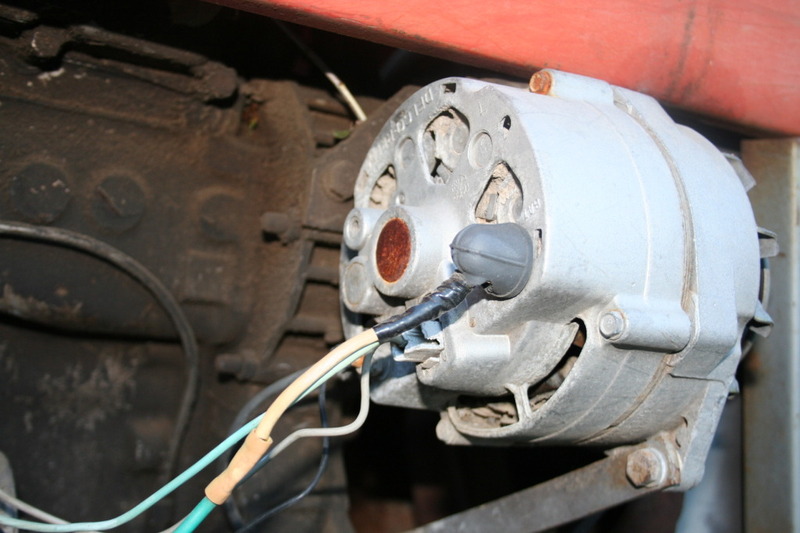 The alternator on the Massey Ferguson 135 Tractor is the latest advancement in providing electrical power to supply the demands of electrically operated assemblies found on the Tractor. The following precautions must be observed to ensure maximum life and performance of the alternator. 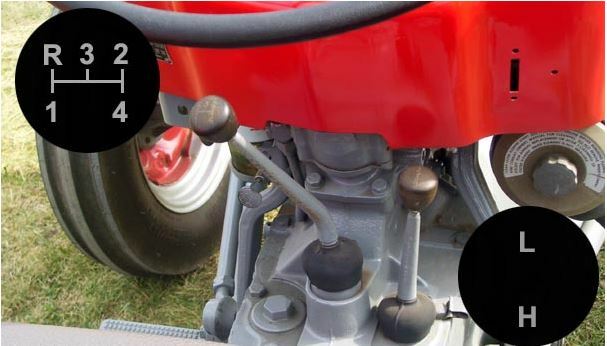 The cooling system on the Massey Ferguson 135 Tractor consists a radiator, pressure-type radiator cap, fan, thermostat and water pump. The cooling system capacity is 10. 5 U.S. – 8. 4 Imp. Quarts. The cooling system in both the gas and diesel engines incorporates a thermostat by-pass port, which allows a more rapid and even engine warm-up. 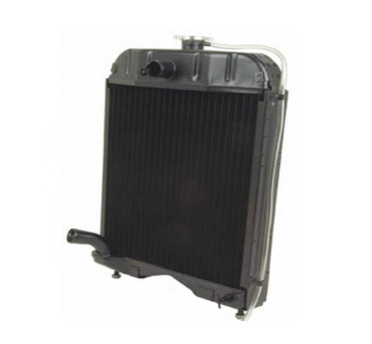 This type of system circulates a metered amount of the coolant through the water pump back into the engine block before the thermostat opens. The Massey Ferguson 135 Tractor Front Tire is so strong and that is less slippage on the ground because it provides better grip and traction, it’s more specification see below in the tire specification table. 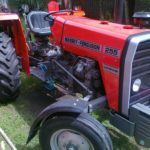 I hope you like this Post about Massey Ferguson 135. And I really thankful to all those people who visited my website if you have any question about this article then please leave a comment from below the comment box. I welcome your suggestion and apply changes immediately.